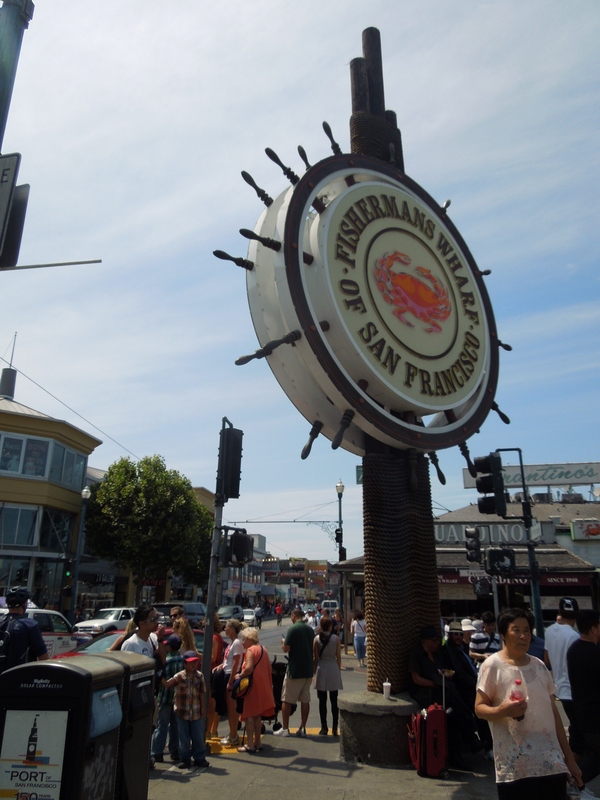 Boudin Sourdough Bakery and Fisherman’s Wharf! It seems like every trip I take to San Francisco ends up being a culinary tour of sorts. 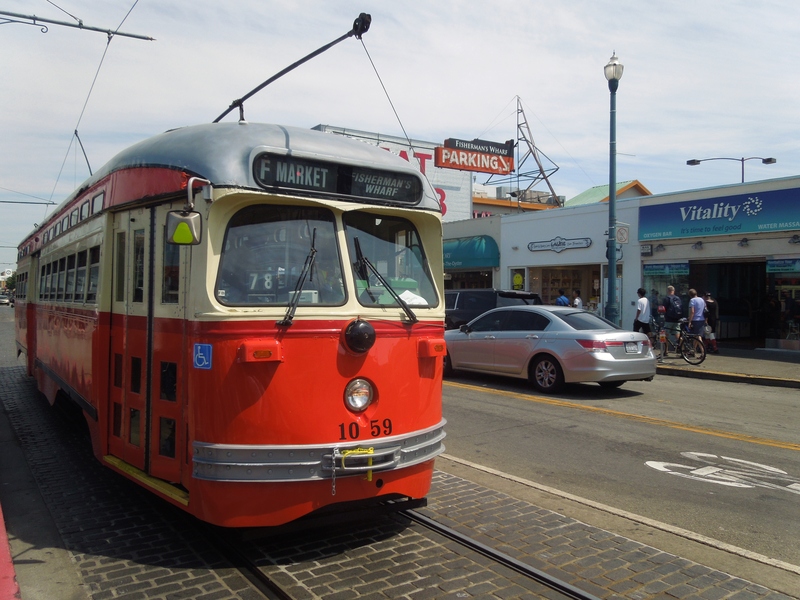 From fresh seafood in Fisherman’s Wharf, to Ghirardelli chocolate, to dumplings in Chinatown, the wide variety of food available in San Francisco will keep you feasting during every moment of your trip. Of course there are plenty of chain restaurants available, but I like to go to the places that are unique to the city by the bay. 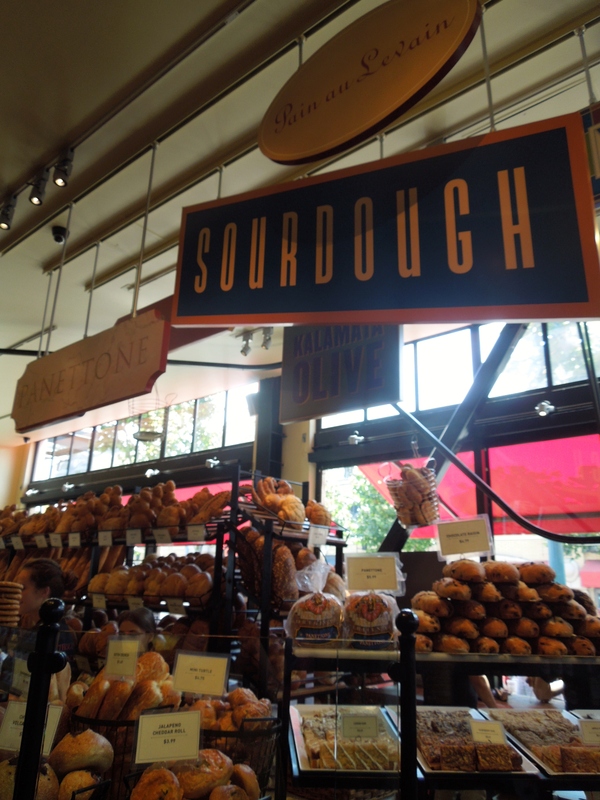 And so, I always end up at Boudin Sourdough Bakery, located in Fisherman’s Wharf. Boudin has been baking sourdough at this location in the wharf since 1849, and this bread is awesome. Since then, a restaurant and gift shop have been added to the bakery, but visitors can still watch bakers make the bread through demo windows, or take a tour of the sourdough museum and bakery. 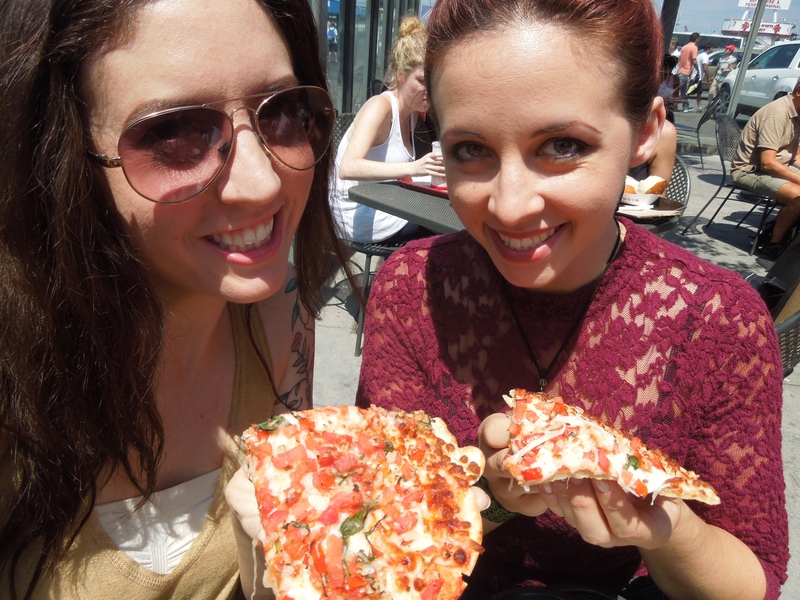 I usually get the soup in a sourdough breadbowl (which is absolutely fantastic) but when we were there this last time, San Francisco was in the middle of a freak heat wave. Definitely not soup weather. So I tried the sourdough garlic and herb pizza. And it was awesome! 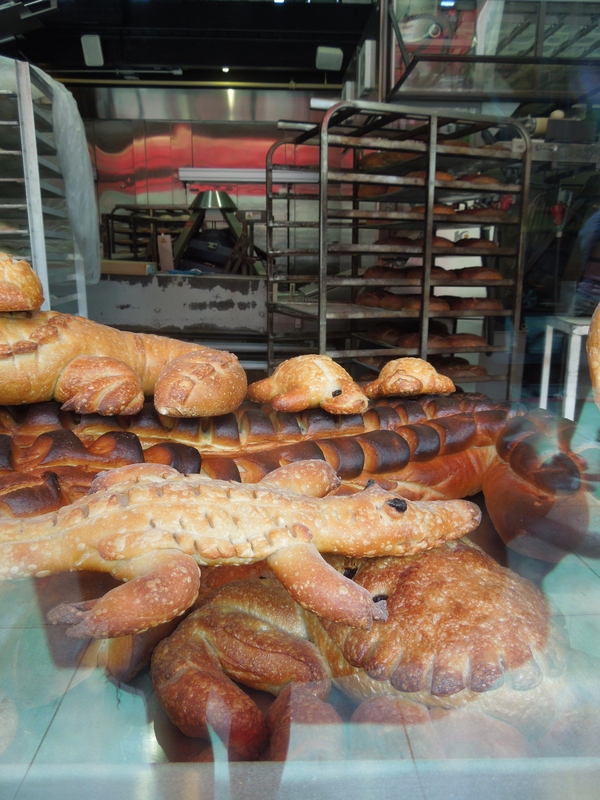 Of course one of the best parts of the visit is watching the bakers in action behind the demo windows… they make some of the cutest shaped breads! And everything looks and smells amazing. 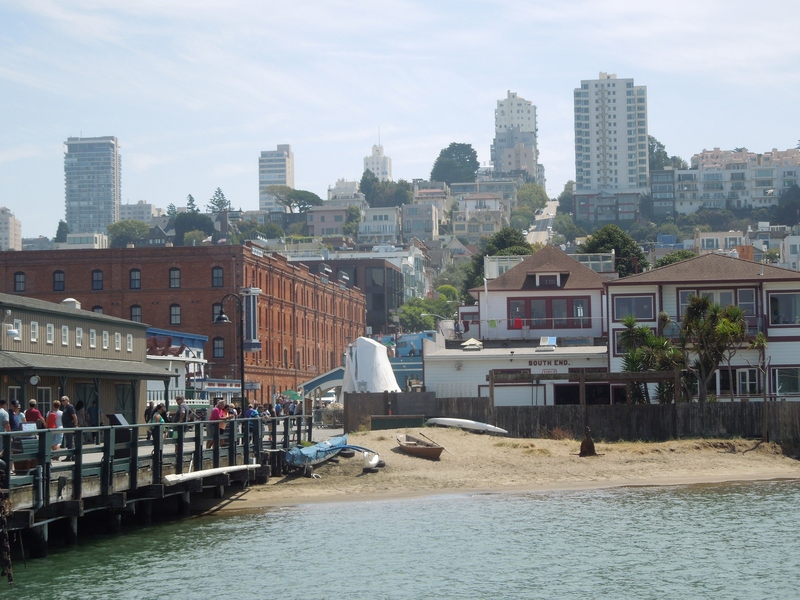 The bakery and restaurant is located in Fisherman’s Wharf, and it is easy walking distance to see some other cool San Francisco sites from there. 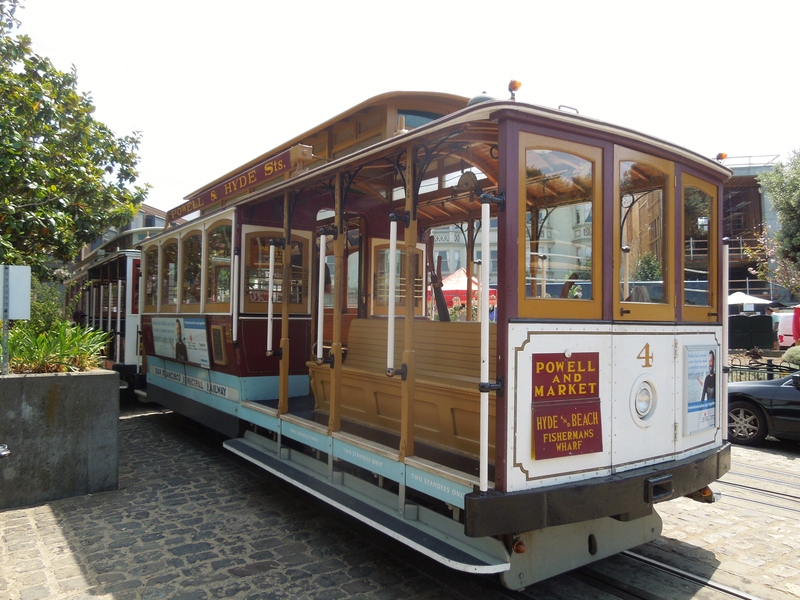 The main cable car station is just a couple blocks away, but be prepared for a long wait to hitch a ride on one of these iconic San Francisco cable cars. The wait was over 45 minutes when we were there this past visit, and we couldn’t spare that kind of time, but if you can, do it. And ride it standing up, holding onto the hand rails outside of the car. It is totally exhilarating, and makes you feel like you are flying. 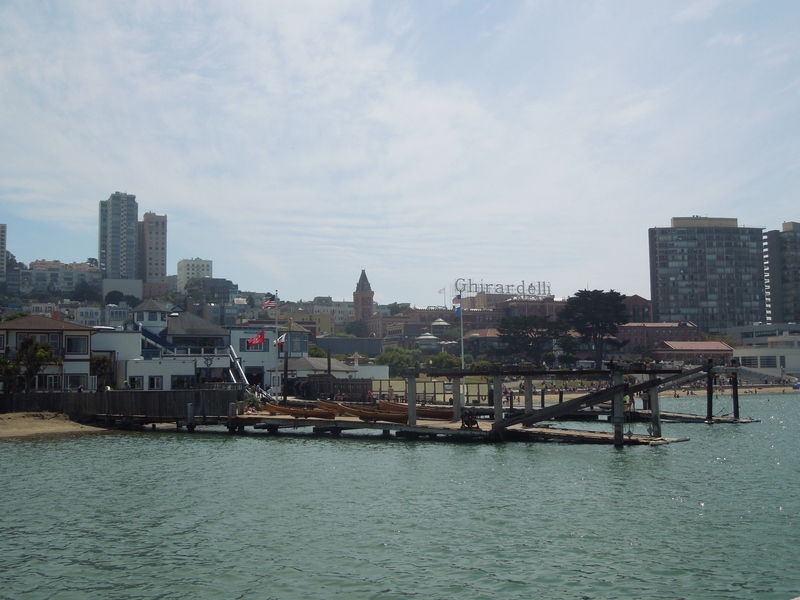 There is so much to see and do in Fisherman’s Wharf. Tons of restaurants, shopping, and bars with live music. 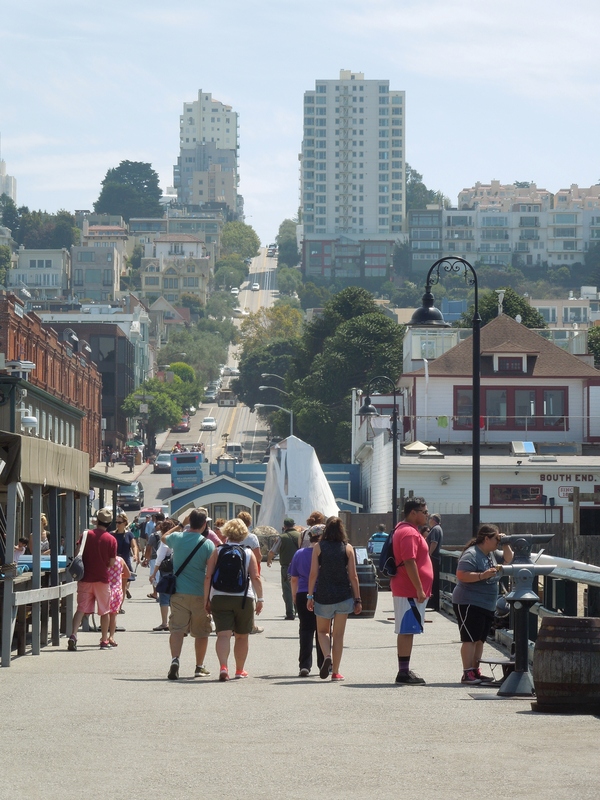 I have been all over this beautiful city, but Fisherman’s Wharf will always be one of my favorite areas, and I can’t go to San Francisco without stopping by. 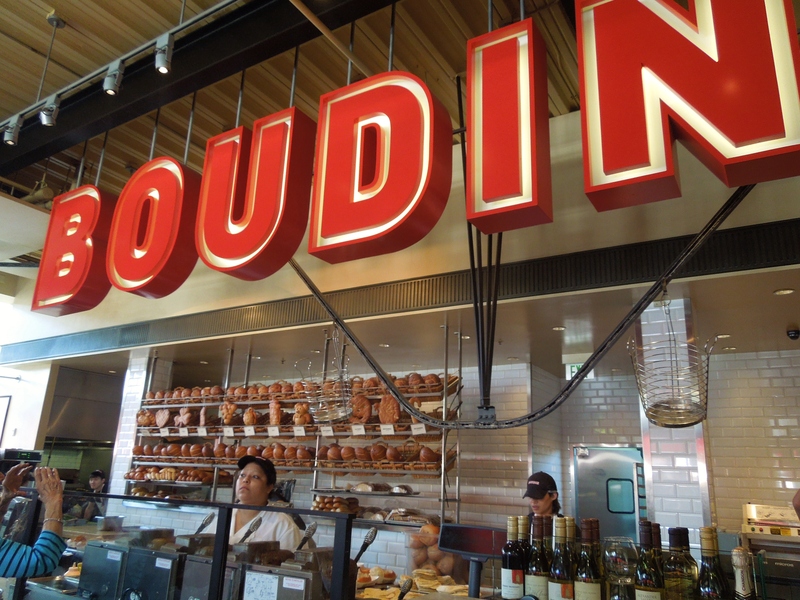 For information on visiting Boudin Bakery at the wharf, click here.